A Funeral is a very emotional occasion. It’s the time and place for mourning whether you are just attending or a part of the family that has lost someone special in their life. 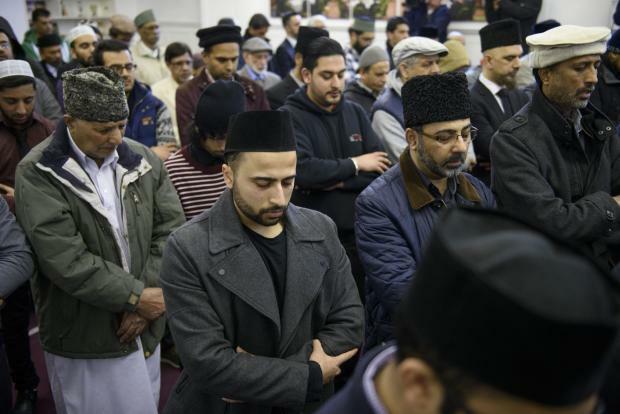 Your job as a man in a funeral is to pay your respects to the deceased and to comfort those around you. It’s not a place to show off or dress up like you’re about to walk on a runway for a big time magazine. So when attending a funeral, you don’t want to come off as a fashionista, and you also don’t want to look like someone who doesn’t care. 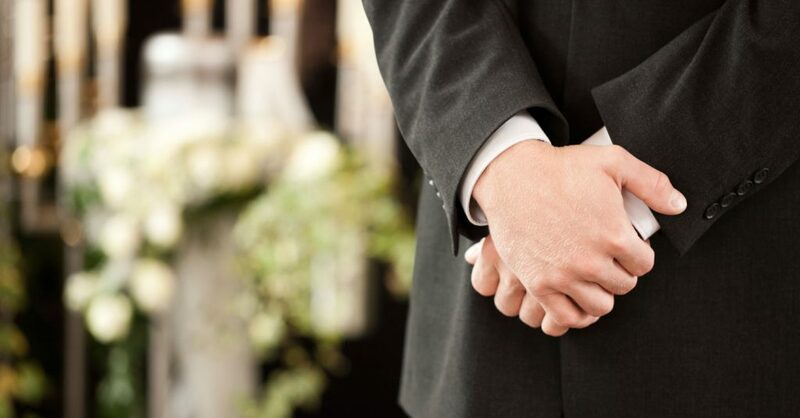 Here are some tips on What to Wear to a Funeral for men so that you can look your best, respectably. 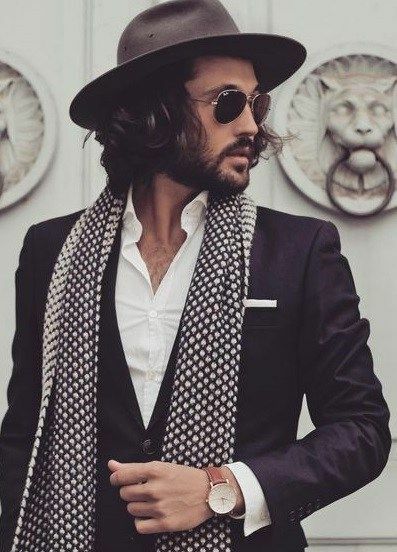 Avoid wearing anything too flashy or too fashionforward – in other words, don’t dress up like you just stepped out of a GQ magazine. Refrain from having too much patterns. Avoid wearing jeans, sneakers, flip flops, shorts, tanks, etc. Avoid wearing too much accessories or hats that are inappropriate – ex. baseball caps, chains, etc. Always respect the Religion/ Culture/ wishes of the family- if the family has set an actual dress code for the viewing/wake, that is the priority! The Traditional or most commonly known attire for a men attending a funeral is Black. Black, in most places, are considered the color for mourning. 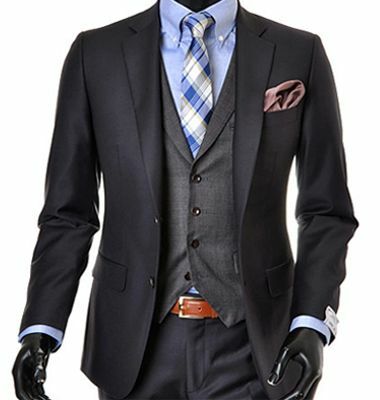 Traditional Funeral Outfits for Men usually includes; Black top or button down long sleeve, Black pants, Black formal shoes, Black Suit, and Ties are optional. An outfit such as this is also acceptable for a Funeral if you don’t have an all Black ensemble. In our generation now, if there are no set dress code for the funeral, Black or any formal wear that is dark, solid and muted is acceptable. 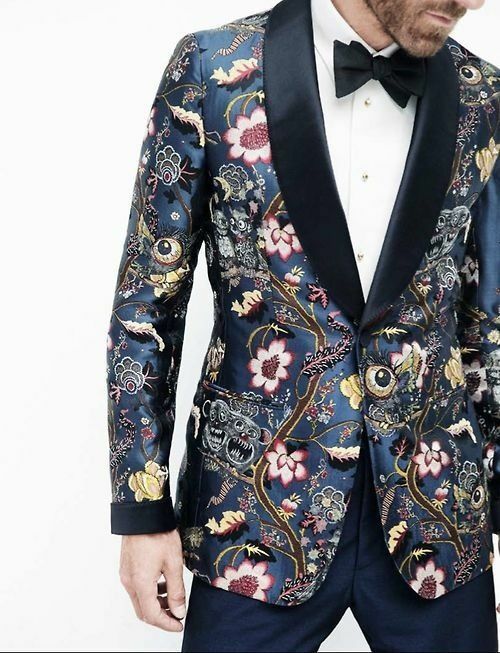 What to Wear to a Funeral: No Suit? No Problem! A Sweater is also a great outfit alternative for a funeral. You don’t always have to wear a suit in such occasion. 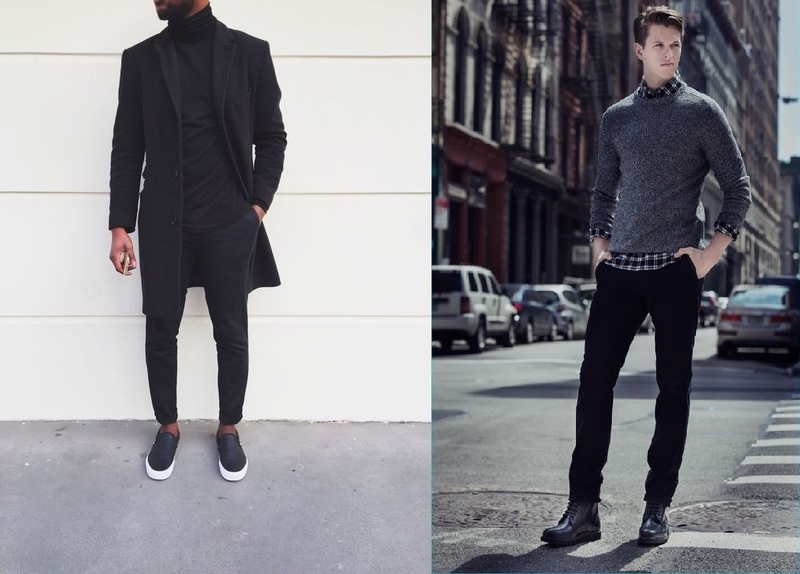 Find a solid, dark toned sweater and partner it with a long sleeve button down on the inside, with dark pants and shoes just like the one shown below. Remember to keep your color choice solid and dark if you don’t have anything black. 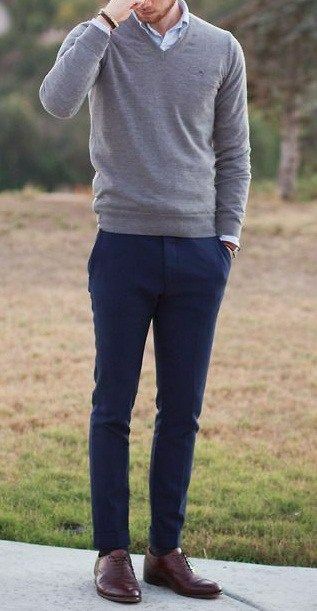 Gray pants and a Black sweater with a White button down long sleeve is another acceptable outfit for a funeral instead of a suit. By keeping your color choice mute and solid, it’s easier to blend in even in an all black funeral. No Suit or Sweater? That’s no problem either! 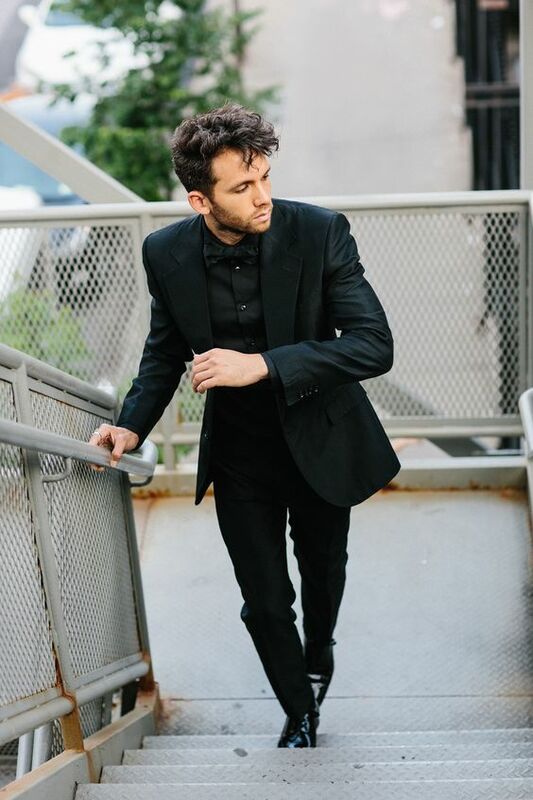 You can still look formal for a funeral by just partnering a solid, dark button down long sleeve and dark pants. 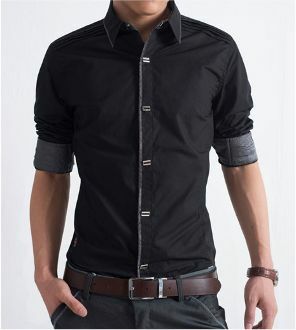 Remember to tuck in your shirt to give it a more formal feel and match it with a classic leather belt. 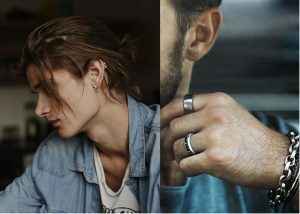 In our generation, women are not the only ones who are allowed to wear jewelry and accessories, men are also very up-to-date when it comes to accessorizing themselves. 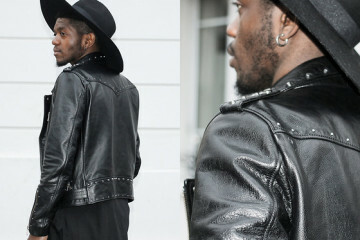 But, when it comes to What to Wear to a Funeral for Men in regards to accessories and jewelries, less is more. If you’re the type of guy who loves to accessorize and wears a lot of jewelry, giving them a break for a day is a good way to go if you are attending a funeral. Always keep in mind that a funeral is somber and very sensitive, therefore, wearing anything too flashy can serve as a distraction to those around you. Keep your accessories to a minimum or don’t wear any at all. Remember that less is more in such event. Always take in consideration the weather and the location of the viewing/wake. If you are going to attend a Winter Funeral, make sure to match your coat or jacket to the occasion. In other words, if you are attending an All Black funeral, make sure to wear a Black coat as well. 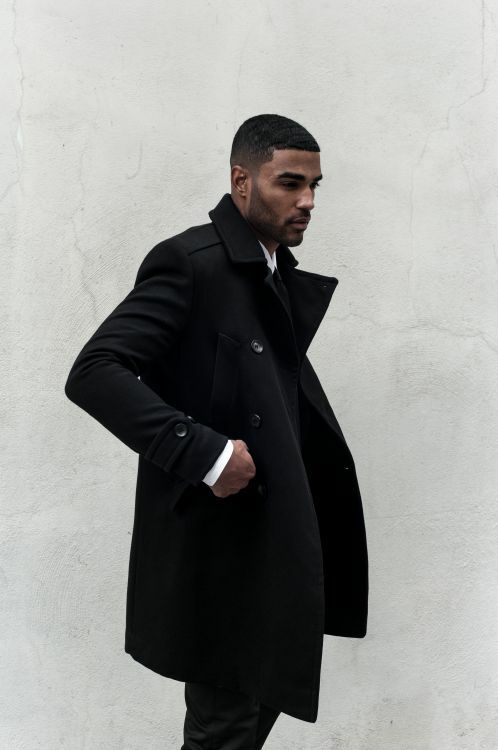 Anything dark or Black is what you want to partner with your outfit whether or not the venue is outdoors or indoors. A turtleneck with a long petticoat matched with a semi-formal Vans or a dark knitted sweater and boots is also another great funeral outfit option. If you are attending a Summer funeral, you may end up sweating a lot if you wear a full on suit. 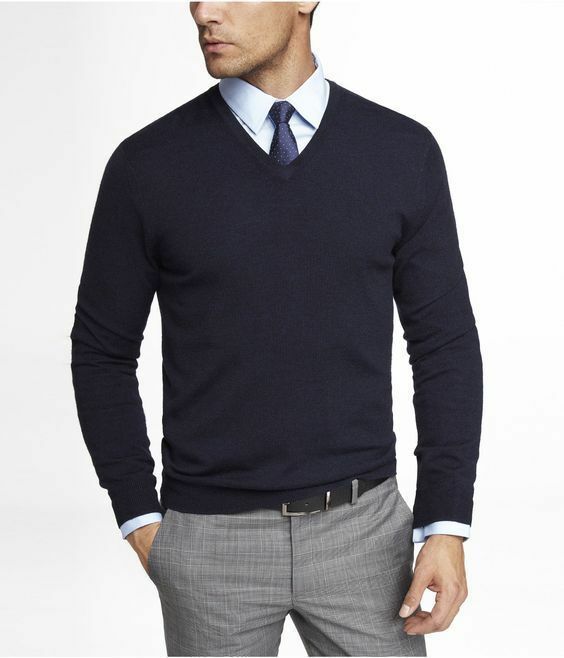 Consider wearing lighter materials or less clothing like the outfit shown below. Wearing just a button down shirt that’ s rolled up in the sleeves, tie, and cuffed up pants with boots is a great funeral outfit for men in the summer. When planning your outfit, make sure you know what culture or religion the deceased and his/her family comes from. Make sure to dress as formal as you can, if the family wishes for a certain theme or attire for the funeral, that is the priority! For example, if the deceased was a fashion designer, the family may wish for the attendees to be dressed up more outgoing and unique. Remember that you must show your respects to the deceased and the family. Whether you are attending or a part of the family, knowing what to wear to a funeral is another way to show your respects.